Ever swanned around an Asian art party where everyone is gorgeously decked out in perfect eyewear and the perfect level of limited-edition printed perfection when suddenly, terrifyingly, you're called upon to comment on a Japanese artist whose name you've NEVER PRONOUNCED IN YOUR LIFE? Do you get your Head Porters, PORTERS and Masterminds mixed up? Did you think Comme des Garcons was FRENCH??! 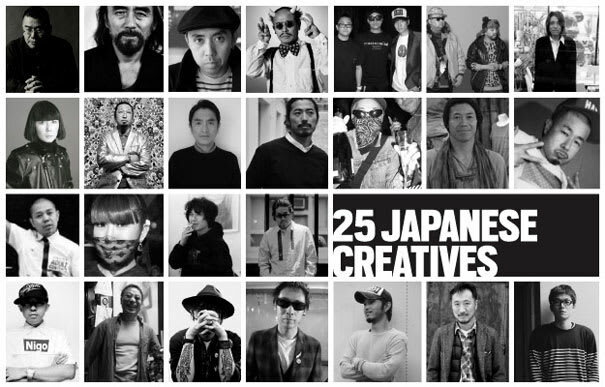 Fret no more because we've got the ultimate cheat sheet on the 25 Japanese creatives you should know. From O.G.s like Rei Kawakubo and Takashi Murakami to the brains behind Visvim and the "Gynoid," we've run the gamut to get you covered. (We realize we're missing folks like Daido Moriyama and Hayao Miyazaki, but they'll be in our next CliffsNotes.) We've got a head shot, a five-point crash course on each, and as a bonus we've included an audio clip of how to pronounce each name recorded by a real-life bona fide Japanese person! Enjoy.